The beginning of March 2012 saw the BCKA heading out for their annual trip to the Irish Open. And like every other year the BCKA met at Lodge Park Sports Centre to begin their journey by coach and ferry to Ireland. This year the whole team had to register on Friday, so upon arrival and after some skilful coach manoeuvring, the team headed to the weigh in at the City West hotel. After all 32 BCKA competitors had registered and checked their category listing, the team got back onto the bus which took them to Bewley's Hotel. The Bewley's Hotel is the Irish home of the BCKA with the team choosing to stay there every year when attending the Irish Open. After checking in and taking bags up to rooms, the team surged to the bar for some food, let's face it after months of having to make their weights everyone was pretty hungry! Saturday morning as usual at the Irish Open was an early start. Light contact categories and men and women's advanced semi contact sections were scheduled for this day. 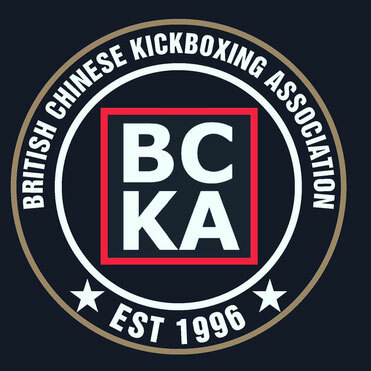 BCKA fighters in action today were Alex Barrowman, Jo Redman and Richie Wooton in advanced light contact categories; Cat Harris, Sophie Collinson, Katie Grant, Jamie Key, Marco Broccoli, Grant Brown and Lee Murray in beginner light contact sections; and Kevin Williams was competing in the advanced semi contact category. Kevin narrowly missed out on progressing just losing his fight 9-8. Marco Broccoli, Jamie Key and Katie Grant made the quarter finals of their sections, whilst Jo Redman and Sophie Collinson took bronze medals in their respective divisions. As with any tournament there was a few contentious decisions in particular Alex Barrowman was unlucky not to progress. And despite only taking two bronze medals away on the first day of the competition the BCKA fighters looked in fine form. For Alex Barrowman, Jo Redman and Kevin Williams, Saturday was the only day they were due to compete so upon returning to the Bewley's these three were able to relax and enjoy no curfew. However the rest of the team were under strict orders to get an early night in preparation for the next day. Again early Sunday morning the BCKA squad gathered in the foyer of Bewley's Hotel, anxiously waiting to take the bus journey back over the City West. Today all the children would be fighting in points as well as adult beginner and intermediate points sections. Upon arriving at the tournament arena the BCKA posed for a team photo and then those fighting set about checking which mat areas they would be competing on. This year there were 10 Irish Open debutants in the team and for the first time the BCKA had competitors in the forms. Danny Trozzi, Graham Hackett, Bob Simpson and Izzy Leggett all competed in the traditional forms categories with Danny taking a bronze medal. Jack and Declan Etches, Paris Sturgess, Nikolai Milanov, Daniel Laing and Sam Herbage were all making their debuts for the BCKA at the Irish Open. Jamie Key was also fighting in this tournament for the first time too but unlike the others he had fought in the light contact on Saturday. All fighters did brilliantly in their categories, in particular Jamie Key and Declan Etches made the quarter finals of the semi contact and Paris and Nikolai both won bronze medals in their categories. The BCKA boys were in great form with Kieren Wilson becoming the first of the BCKA team to become Irish Open Champion at this tournament, Jack Bristowe took the bronze medal in the same category. Jack also made the quarter finals of the advanced category. Lewis Gemmill also won a bronze medal in the -47kgs section, meanwhile Courtney Brown followed Kieren into becoming an Irish Open Champion in the boy's +69kgs advanced category. However the BCKA success did not stop there. Marco Broccoli and Aaron Young fighting in the same category ensured BCKA dominated the podium for this particular category with Aaron taking the bronze and Marco with the top prize of Irish Open Champion. Ryan Winham also had a successful day with a bronze medal in the heavyweight and a quarter finalist position in the lighter category. Nicola Gemmill made the transition from the girl's section to the women's with ease picking up a bronze medal in the intermediate section and became Irish Open Champion of the beginners. All in all it was an excellent day for the BCKA with some quality performances from fighters who did not place as well as from those who did. 2012 was the most successful year for the BCKA yet with 4 Irish Open Champions and 10 bronze medallists. So a celebration was well in order and took place back at the Bewley's Hotel, with the team also celebrating the upcoming 18th birthday of team member Sophie Collinson. All good things must come to an end and the same can be said of this year's trip to the Irish Open. A good time was had by all as well as some excellent performances marking the progress and improvement of the BCKA squad. However as good as all the fighters are, much credit must also go to the fantastic supporters that travel out with team and of course most importantly to our first class coaches including chief instructor Alex Barrowman. Roll on next year for another great outing to the Irish Open.